This Technical Specification defines a common set of data exchange specifications to support the vision of a seamless interoperable exchange of traffic and travel information across boundaries, including national, urban, interurban, road administrations, infrastructure providers and service providers. Standardisation in this context is a vital constituent to ensure interoperability, reduction of risk, reduction of the cost base, promotion of open marketplaces and many social, economic and community benefits to be gained from more informed travellers, network managers and transport operators. Especially in Europe, delivering Transport Policy in line with the White Paper issued by the European Commission requires co-ordination of traffic management and development of seamless pan European services. With the aim to support sustainable mobility in Europe, the European Commission has been supporting the development of information exchange mainly between the actors of the road traffic management domain for a number of years. This Technical Specification supports a methodology that is extensible. To be able to successfully connect systems and start exchanging data, in an interoperable and easy way, there is a need to describe and agree on how the exchange should be done. This is set out in a data exchange specification. Data exchange in different scenarios can have different needs and requirements. Therefore, several data exchange specifications can be needed. Data exchange specifications need to address two main issues. First, they must model the stakeholders and actors involved in data exchange – each potentially in different roles – as well as abstract exchange patterns for their interactions. Second, they must select a suitable implementation platform and clearly specify how the abstract scenarios and patterns are effectively implemented on this platform. 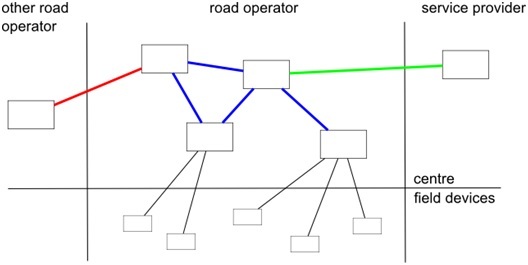 The following diagram shows such an abstract communication scenario from the perspective of a road operator who requires data exchange interfaces between the different components of its own operational systems – either between centre side components or between centre and field devices – but also to exchange information with other road operators or service providers. While the black links between centre side components and field devices may use a variety of communication protocols – mostly depending on the physical link conditions – the vast majority of other coloured links between centre - side components – internal to one organisation or external to others – is based on an IP network and mostly use the TCP transport layer protocol (UDP is also possible in a few cases). Nevertheless – as the different colours indicate – they can very well have significantly different requirements. Internal links (blue) can reside in one domain of trust, hence do not require protocols compatible with security gateways. This can already be different for links to other road operators (red) and will certainly not hold for links to other types of organisations – like service providers – via the Internet (green). While different security requirements offer the most striking and obvious example, there are more criteria that can lead to different preferences on different types of links, e.g. scalability, robustness, integration complexity, etc. In broad terms, the colours blue – red – green form a hierarchy from more internal, closely-coupled, well-integrated systems towards external, loosely-coupled and non-integrated systems. The world of information and communication technology (ICT) offers a broad range of solutions for these different scenarios, offering different advantages and disadvantages. It is obvious that the one-size-fits-all principle will not provide the most efficient way of working here. Even on the highest level of abstraction and inside the ICT domain itself, we already find a well-known battle of paradigms between remote-procedure-call (RPC) type service specifications and RESTful architectures. The same clusters of options are found in the domain of ITS standards, where for example the European standard for the real-time information interface relating to public transport operations (SIRI – EN 15531 series ) introduces both concepts as complementary options: Publish-Subscribe and Request-Response. Clear separation between the payload content and the exchange model. The informative Annex A details more the adopted methodology for defining this Exchange Platform Independent Model. The scope of this Technical specification is to define and specify component facets supporting the exchange and shared use of data and information in the field of traffic and travel. The component facets include the framework and context for exchanges, the data content, structure and relationships necessary and the communications specification, in such a way they are independent from any defined technical platform. Use of this Technical Specification may be applicable for use by other actors like e.g. car park operators…. 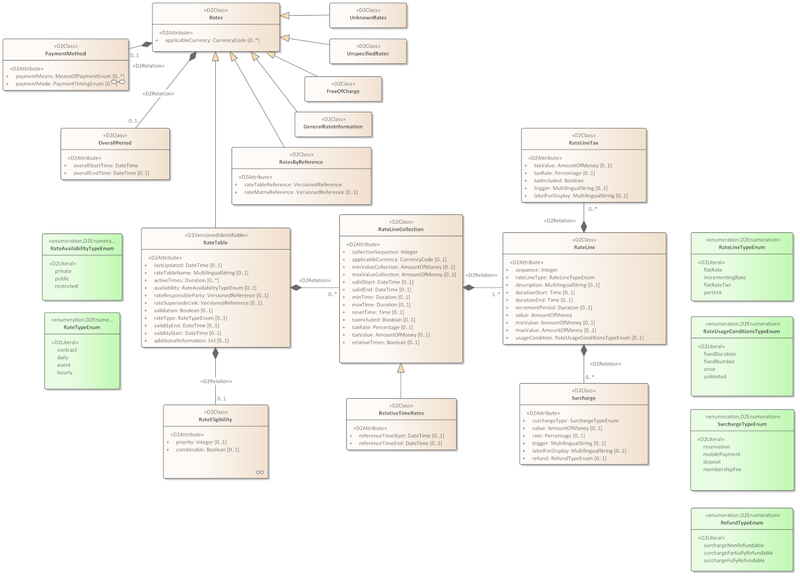 The data model for exchange (informational structures, relationships, roles, attributes and associated data types required). In order to set up a new technical exchange framework, it is necessary to associate one functional exchange profile with a technical platform providing an interoperability domain where plug-and-play interoperability at technical level can be expected. The definition of such interoperability domains is not part of this Technical Specification but can be found in other standards or technical specifications like in ISO 14827-3. This Technical Specification is restricted to data exchange, definition of payload content models being beyond its scope. business scenario high level description of the interactions that can exist within a system being analysed or between the system and external entities (called actors) in terms of business functions See also Use Case. interoperability domain pair of FEP and platform selected for implementing a data exchange subsystem Each PSM document defines an Interoperability Domain, which ensures that two implementations of this PSM are interoperable and can successfully exchange payload. Platform Independent Model (PIM) document describing the abstract model of the standardised data exchange process in a platform independent way This definition is specific to this Technical Specification. Platform Specific Model (PSM) document providing the implementation details of a FEP described in the PIM for a concrete platform This definition is specific to this Technical Specification. Supplier entity that provides the information It is represented in the information delivery business scenario. Model driven approach is chosen to describe Exchange: this lead to describe exchange systems by means of abstract model which are named Platform Independent Model (PIM), modelling of exchange features is done by describing interaction among systems and subsystems which are described as Exchange Patterns, those interactions implements system capabilities as features which fulfils exchange requirements requested by specific Business Scenarios which are used to specify specific use of Exchange. Since simple data exchange process is no longer sufficient for resolving all business needs, this Technical Specification encompasses more business functions as the stakeholders consolidate their systems and look at new ways to address the requests they encounter with the tools they already know and have in place. 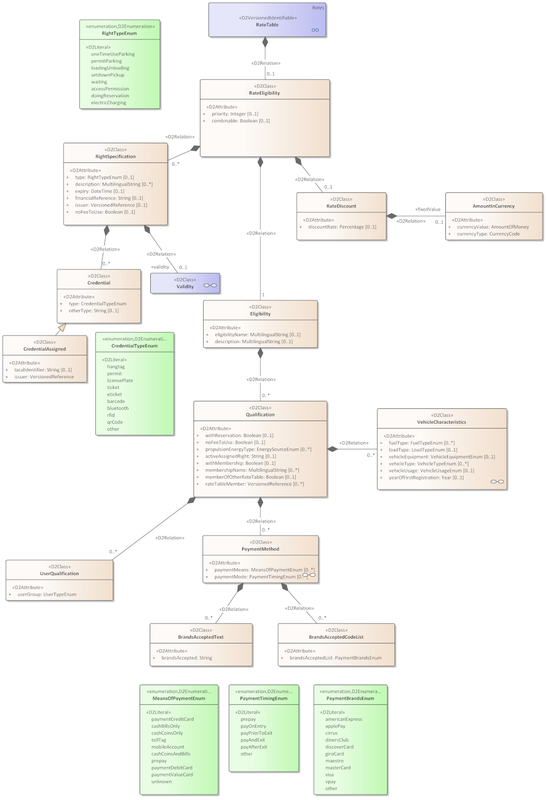 This Technical Specification is based on business scenarios, i.e. 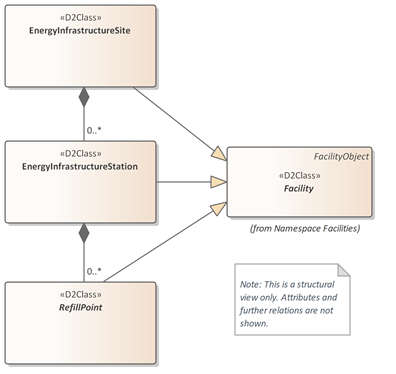 high-level description of the interactions that can exist within a system being analysed or between the system and external entities (called actors) in terms of business functions. Derived from requirements a business scenario has on information as well as technical parameters, Functional Exchange Profiles (FEPs) are identified to ensure interoperable services with the restriction of determining one FEP per business scenario for a specific technical platform. One FEP can support more than one business scenario. Other business scenarios can be developed in future versions using the same methodology. Requirements may vary depending on data exchange application i.e. Use Cases to be fulfilled, so there could be many reasons to consider or not any requirement based both on the gathering of data at Supplier System and the usage of Delivered data in the Client. Exchange is defined through Features which implement the Information Exchange and fulfils Data Exchange requirements. Depending on many possible Exchange Platform considered for implementation, a subset of features and relative requirements is possible to be implemented. To fulfil a set of requirements many Platform are possible, but to be interoperable client and supplier shall implement the same platform with the same pattern. Allowing a wide variety of possible Exchange Pattern, the best suitable for an application may be chosen, according to requirements which fulfilment is granted by the selected Exchange Pattern. Based on the requirements of a specific Business Scenario, a set of appropriate exchange features has to be combined into a Functional Exchange Profile (FEP). 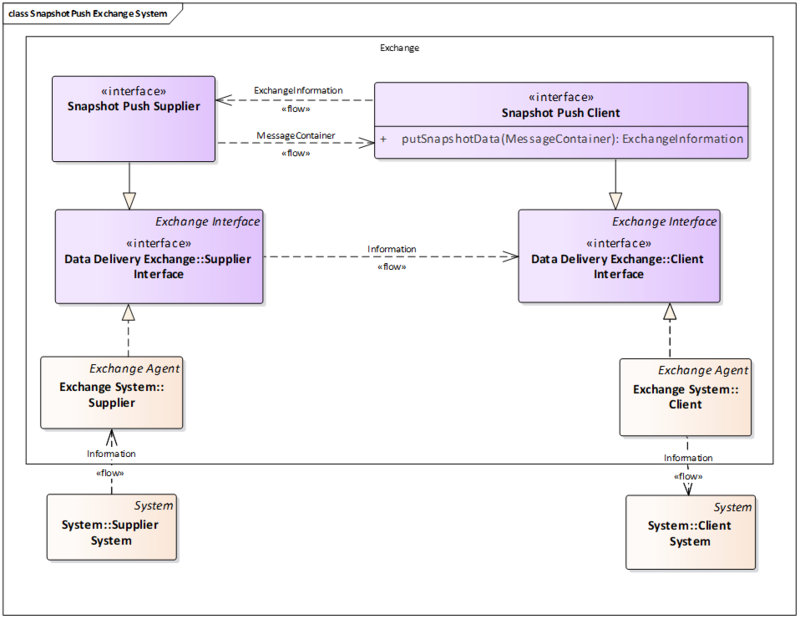 The following schema represent the domains of PIM and PSM introducing Exchange Pattern EP and Functional Exchange Profile FEP. One of the most common applications of a data exchange system is the exchange of traffic and travel information between two nodes. In such a scenario, one node acts as the supplier of the information while the other acts as the intended receiver of that information, i.e. the client. Supplier System A system which gathers information (Road Information) which has to be conveyed to another system named Client System. Examples of Supplier Systems may be Traffic Control Centres or Traffic Information Centres or Service Providers Systems, gathering road data by any available source they have. Road and Traffic Information is gathered at a System which is named “Supplier System” in case the information it stores is needed to betransferred to another system, named Client System, for any purpose. As explained in the Information Delivery Background in Annex F any updates of Information status at the Supplier system has to bereplicated to the Client System via Information Delivery. The main scope of Information delivery is that Information on Client System is updated exactly in the same way as it is in the Supplier system without any difference on information values and semantics. We can define “Exchange Message” the data structure in which the information is coded to transfer Information in the Exchange System fromthe Supplier to the Client. Ss >> Information >> Supplier >> Exchange Message >> Client >> Information >> Sc i.e. Client System Status is updated in equivalent mode as Supplier System Status by means of Data Delivery Exchange Messages through Supplier and Client. Information Delivery Business Scenario scope is implemented by selected Exchange Features which enables this scope and other secondary requirements which are possible based on available Features on considered Platforms and Patterns. The normative Annex B provides a description of all requirements that can exist for specific Business Scenario including Information Delivery whether they are actually used in a particular functional exchangeprofile or not. All requirements are organised into groups based ontheir characteristics. A Functional Exchange Profile is a different concept from content profile. The description of the content profiles that may exist in an information delivery scenario is not in the scope of this TechnicalSpecification. Content profiles are handled in respect to whatinformation is exchanged. Exchange Pattern can be defined as: the basic Exchange Architecture Model which identifies Actors in the Exchange framework and Messaging Patterns as basic tools which are available to implement Information Delivery by Exchange features. Messaging Patterns can be defined by means of UML Sequence Diagrams,Collaboration Diagrams and State Diagrams, in a way that Messages Triggering condition are well defined and any update of state is welldefined and identified based on the subsequent message exchange orconditions. Once an Exchange Pattern and a Selection of Features (FEP) which can beimplemented on these Exchange patterns are set, a set of specificationat PIM level for Exchange Pattern/FEP is well defined. A PIM for Exchange Pattern/FEP which enables all mandatory requirements is a valid platform for Information Delivery Business case. 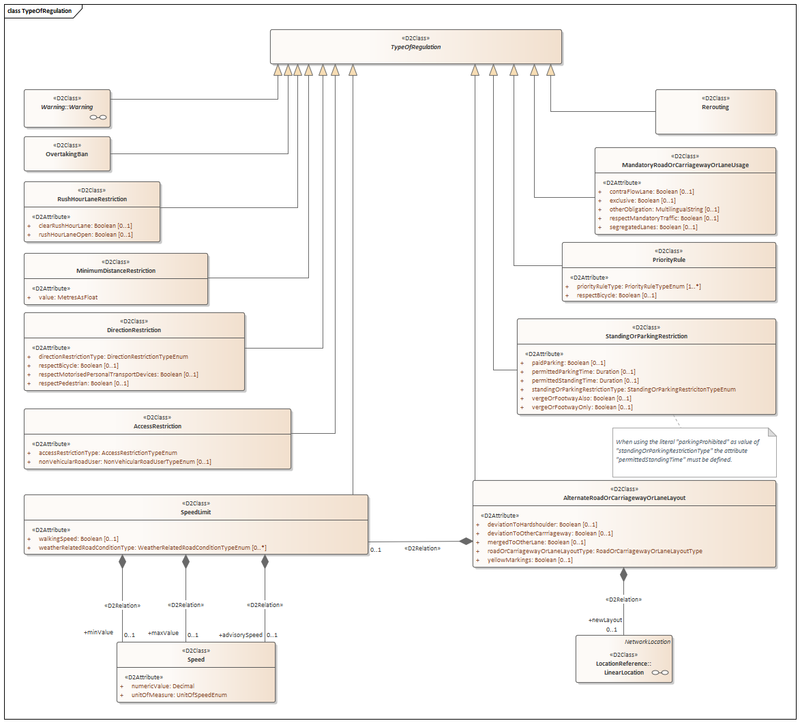 In the FEP+EP PIM description by Sequence Diagram any UML interactions that are not on the link between client and supplier are illustrative only - there is no obligation on a PSM to specify a mapping for those. In CIS business scenario the exchange of information among centre is considered as a base to trigger processes and services on those data, so the data exchange layer is to be considered a mean as “ITS Services” enabler. To implement some Exchange features, such as Session management or Link Monitoring, or Security features, extra information is to be added to the informative (Payload) content. This extra information, named Exchange Information, enables Messages to convey information and data which are related to Client and Supplier Status, Identity, Authorisation, etc. Exchange information could be different among Exchange Pattern/FEP Selection, but some common general information model may be considered, which could be specialised to manage specific Exchange pattern and PIM. 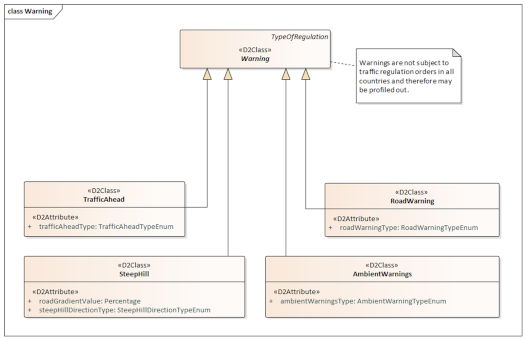 This technical Specification defines the features and rules that systemsshould implement in order to be able to communicate in the traffic andtravel data exchange world. 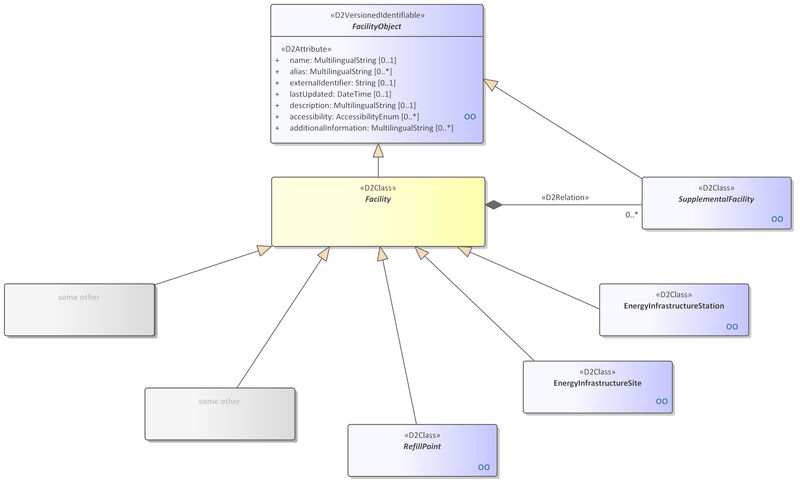 The context diagram of Figure 5 below identifies the entities and thefeatures that are specified in this Technical Specification and need tobe addressed by the technical implementations. 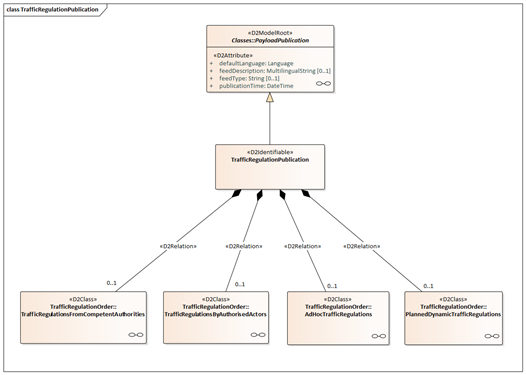 The diagram presents thefeatures in different layers for Communication, Message Rules and Application. The Application layer is used for defining how using and implementing different business and application needs. The Technical specification describes the features to deal with how and when the information is published and made available, how subscriptions are managed, how to handle services and transactions. This layer defines the semantics of the communication. The Messages Rules layer defines the features and the rules used for the transport of the messages. This is the layer where are defined the rules (protocol) that enable different systems (suppliers and clients) to communicate and understand each other, i.e. for sending and receiving messages. This layer defines the syntax of the communication. The Communication layer deals with the support for communication between systems, and defines the protocols and services that are used by the data exchange applications, such as TCP/IP, Security, Web Services, etc. The Communication layer deals with rules at the lowest level, i.e. the physical exchange. This layer provides solutions to the defined requirements and features although it is up to upper applications to define what protocols to use and how to use them. This layer defines the physical support for the communication. The context diagram below (Figure 5) shows the topics broken up into boxes representing the exchange features and the relation with each layer. Session – The session feature group supports all features related to the establishment of a logical session. Support Information Processing: feature for handling directives to process exchanged data and send feedback on processing outcomes. Synchronisation: how to ensure data synchronisation between the systems that are communicating. Communication – Handles all features related to the protocol closest to the physical layer. It is used by the application for the transport of messages. Compression – how data compression could be used while transmitting data. Simple Push Exchange Pattern / FEP at PIM level is based on information messages sent or pushed by the Supplier to the Client as may be implemented in several platform: some examples are push of generated XML content by http/post, or Client providing a SOAP WebService method “push” by which data can be provided by the Supplier to the Client. This “Simple Push” add extra features to the basic Snapshot Push exchange pattern to manage Link Monitoring, as well as synchronisation/realignment in case of communication lacks or system maintenance. This mechanism will be fully explained at PIM level in the following sections. We recall from Information Delivery Business Scenario description and definition that Data Exchange is needed to align the information kept by the Supplier System into the Client System, for this purpose an Exchange Systems is used which provides tools which enables messages generation and transfer among Supplier and Client. The Client provides a mechanism to receive data from action taken at Supplier site invoking specific resources / methods offered by Client. Supplier so logically “pushes” Messages to the Client. The Client shall acknowledge what received by a Return Information to the Supplier. This return message is available to bring some information back from Client to the Supplier, such as, Fail, Success, Snapshot Synchronisation Request. Return message information is logically described in this PIM, while implementation will be defined at PSM, level. 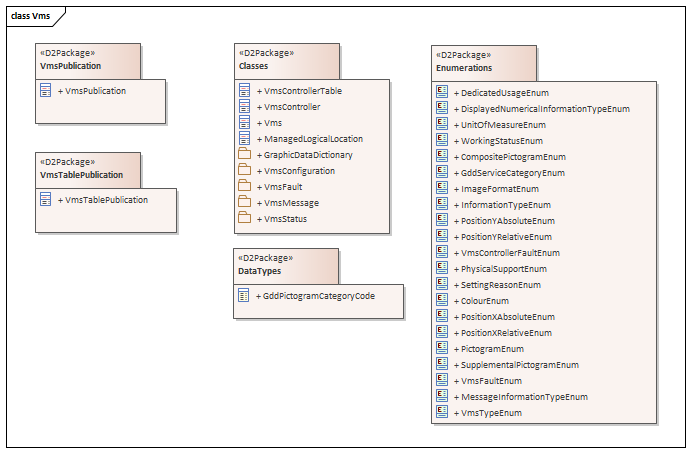 The mechanisms available are referred in this document as “putData”,”keepAlive” and optional “putSnapshotData”. Simple Push actually pushes available information or available updated information to the Clients, but do not keep track of what has been delivered to specific Clients. For specific use cases such as delivery of stateful information (e.g. situation payload information), a first snapshot may be useful and may be delivered to client based on information to be exchanged or explicit client request in return code. This feature is optional in this FEP+EP PIM. Based on previous optional requirement Exchanged data can either be current available data, also called “snapshot” of information, or, when a synchronisation is not needed such as for stateless information ( e.g.Road Data) , a set of information which had changed since the last Push may be exchanged to align the Information status on the Client System. Those messages may include single updated element or all updated elements depending on Update Method chosen. On Occurrence Push: as soon as an information is updated at the Supplier Systems, this condition triggers the Supplier to send push data to align to the Client to update the Client System as soon as possible after this update. a Snapshot Synchronisation with all the currently available content snapshot in case a snapshot alignment feature is needed or requested by client. Response to a Snapshot Synchronisation request: one Snapshot alignment can also be acknowledged to the client for internal system need / maintenance / debug, it may be requested by the Client via any Return Messages, i.e. wrapped in returned Exchange Information. Basic Exchange Data Model has been provided to allow the implementation to deliver more payload contents on the same Message and further information to allow to manage some extra features not required by the basic Snapshot Push Exchange. For interoperability convenience the Exchange Data Model wrapping shall be managed in this Exchange Pattern. 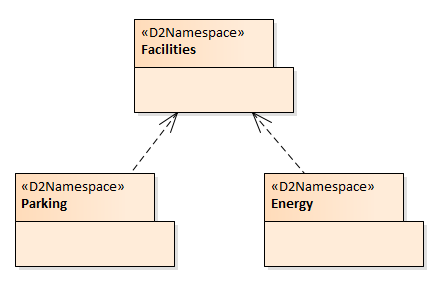 A D2Container shall be pushed to Client using Basic Exchange Data Model as reported in previous figure. A D2ExchangeInformation shall be returned from putData to convey information about exchange operation and connection status. Requirement: timely, reliable Information, session management. Different Messages or Supplier / Client interactions (invoked method) are to be exchanged in Simple Push which are needed to manage Synchronisation, Payload Exchange, Link Monitoring. These are formally contained in Pushed Messages to Client from Supplier or in Return Messages from Client to Supplier. The following diagram describes the Client status as monitored and managed by the Supplier. Special management for initialisation and termination of Push Process to specific Client are to be considered at application development level in supplier and Client Systems. The following diagram describes the Supplier status as monitored and managed by the Client. Special management in initialisation and termination of Push Process are to be considered at application level in Supplier and Client System. Managed offline, not automated. It assumes information for controls to be implemented in Client to assess the identity of Supplier and authenticate the Supplier request in Messages exchange. No Session is managed for the current EP+FEP. Link monitoring is done by Push Payload and Keep Alive. When data is available a Payload Push is exchanged which also inform client and supplier if session and systems status: Push received from Supplier on Client Side and return of Push on Payload push on Supplier side guarantees the network is available and the systems are up and running. When no data is available to Supplier and a timeout is expired a KeepAlive Message is exchanged to check network and system availability. In case Payload Push or KeepAlive fails or timed out the Supplier assumes the Client is Offline and keep trace of this status for any management purposes at Supplier System side (for delivery retry mechanism are to be described at PSM level defining a Logical Push mapping iterated for a maximum number of times). Available operating mode for Simple Push is Periodic or On Occurrence (i.e. Condition Triggered based on supplier) Push based on Supplier side conditions. Description of Operating Modes is done at general PIM Level, no extra details are needed in this Section for PIM/Exchange Pattern / FEP. Available updated methods are: Snapshot, Single Element Update, All element update. All updates available are conveyed in a Payload Publication Push messages. Description of Operating Modes is done at PIM Level, no extra details are needed in this Section for PIM/Exchange Pattern / FEP. Description of LifeCycle Management is done at PIM Level. Lifecycle management to Exchange data among Client and Supplier is embed on Operating Mode and Update Method which had been chosen at Subscription contract. Push delivery method allows to convey information from Supplier to Client as two different information. Sampled data can be conveyed as Periodic or On Occurrence push of a Snapshot Payload containing all current active data or last collected data. A Single/All Element updated push may be done for any operating mode as well with On Occurrence or Periodic Push. 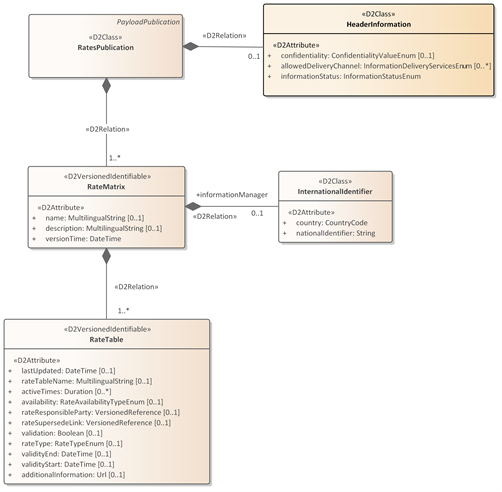 Based on Sequence Diagram described the Supplier after initialisation start sending Push information to Client: in case of stateful information delivery and based on subscription contract eventually agreed conditions e.g. it will manage a Snapshot push whenever it has no historical information about Client status, deriving it is the first connection ever and a Snapshot Push is needed to align the Client System. When it’s not the first time the supplier send data to Client it can deliver normal Payload Push data, but the client for internal Client System needs may also require for snapshot push data by its return status. After initialisation Data Ready condition at Supplier System Side trigger a Payload Push delivery. A Periodic Push condition is also possible based on Contract agreement among Supplier and Client. Not Described at PIM Level, may be defined at PSM level. Snapshot Synchronisation is optionally managed at First connection with a Client or under Client request. In all other case a Simple Push is delivered based on Supplier site data available and conditions. Payload timestamp information is available for Client side processing optimisation made at application level. No extra optimisation issues are considered in this EP+FEP. The “Snapshot Pull” Exchange Pattern / FEP at PIM level is based on information retrieval by the Client from the Supplier which deliver a snapshot of information, i.e. all currently available information content, to the client, which can be implemented in several platform:some examples are XML retrieval of generated XML files by http/get, orSupplier exposing a SOAP WebService method (e.g. named “PULL”), fromwhich currently available data can be retrieved by the client. This “Snapshot Pull” does not manage Session Lifecycle and Link Monitoring requirements, as well as synchronisation, this features and related requirements are not considered in this Pattern, synchronisation is note needed as implicit by snapshot delivering of currently availableinformation content. Lifecycle management Y, based on snapshot: new and updated content delivered, outdated data not delivered. We resume from Information Delivery Business Scenario description and definition that data exchange is needed to align the information kept by the Supplier System into the Client System, for this purpose an Exchange Systems is used which provides tools which enables messages generation and transfer among Supplier and Client. The Supplier provides a mechanism to retrieve current data, also called “snapshot” of information, normally for a specific payload, i.e. current information content of Client System or Last retrieved information for Sampled data (see Annex F ). This mechanism is referred in this document as “pullData”. Depending on implementation (e.g. http /get of XML static files generated at Supplier side) the payload message may be generated by the Supplier based on condition on supplier side (e.g. event update or data gathered at supplier side). In those cases, extra information could be available to implement some optimization such as bandwidth saving not transferring the same data in case no update had been generated. 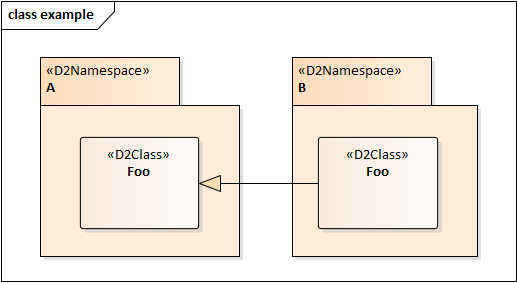 No extra exchange information is needed in this pattern to implement any described features. Basic Exchange Data Model has been provided to allow the implementation to deliver more payload contents on the same Message and further information to allow to manage some extra features not required by the Snapshot Pull exchange. The usage of the Exchange Data Model wrapping is for harmonisation to other Exchange Pattern such as “Simple Pull” or “Stateful Push”. 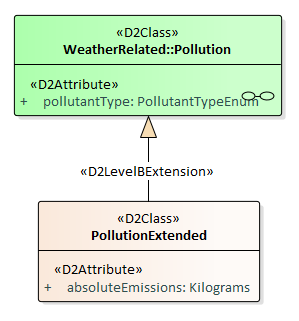 A D2Container should be retrieved using Basic Exchange Data Model as reported in previous figure, alternatively a D2Payload may be retrieved without any further information. Simple Payload messages may be exchanged within this FEP+EP. 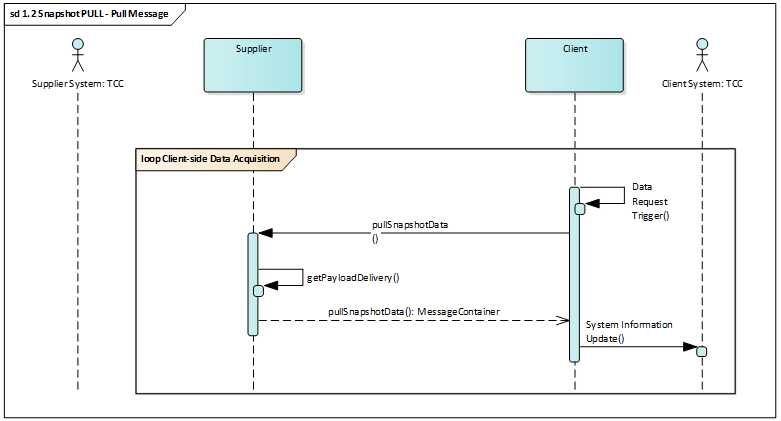 Payload messages should be delivered wrapped into a Container (see Basic Exchange Data Model Annex C ) with Exchange data. Payload Messages contain Payload Update Timestamp which may be used to understand when payload has been created/updated for error management and processing saving. Link monitoring is not managed for the current EP+FEP. Available operating mode for Client Pull is Periodic or On Occurrence (i.e. Condition Triggered based on client) Pull based on Client side conditions. Available updated method is Snapshot, i.e. retrieval of only currently valid data. Currently available information is included in the payload at Supplier System to prepare for Delivery Messages, this can be done at timeout on a cycle basis or at specific condition triggering as “data updated” condition. For lifecycle management information, snapshot include all active information, outdated information is not delivered in content. For sampled information the snapshot information contains last sampled data available at supplier site. Whenever a condition is raised the Supplier System may trigger this to the Supplier to manage creation of Pull Message. Not described in this pattern at PIM Level ( it may be implemented at PSM level see Optimisation Section). Payload timestamp information is available for Client-side processing optimisation made at application level. The “Snapshot Push” Exchange Pattern / FEP at PIM level is based on pushing information by the Supplier to the Client delivering a snapshot of information, i.e. all currently available information content, to the client. This Exchange Pattern** can be implemented in several platform: some examples are XML delivering of generated XML files by http / post, or Client exposing a SOAP WebService method (e.g.named “PUSH”) to which currently available data can be sent by the Supplier to the Client. This “Snapshot Push” does not manage Session Lifecycle and Link Monitoring requirements, as well as synchronisation, this features and related requirements are not considered in this Pattern, synchronisation is not needed as implicit by snapshot delivering of currently available information content. We recall from Information Delivery Business Scenario description and definition that Data Exchange is needed to align the information kept bythe Supplier System into the Client System, for this purpose an ExchangeSystems is used which provides tools which enables messages generationand transfer between Supplier and Client. The Client provides a mechanism to receive data from action taken at Supplier site invoking specific resources / methods offered by Client. Supplier so logically “pushes” Messages to the Client. The Client shall acknowledge what received by a Return Information to the Supplier. This return message is available to bring some information back from Client to the Supplier. The Client provides a mechanism to the Supplier to push currently available data, also called “snapshot” of information, i.e. current information content at Supplier System or Last retrieved information for Sampled data (see Annex F ). This mechanism is referred in this document as “putSnapshotData”. No extra exchange information is needed in this pattern to implement anydescribed features. 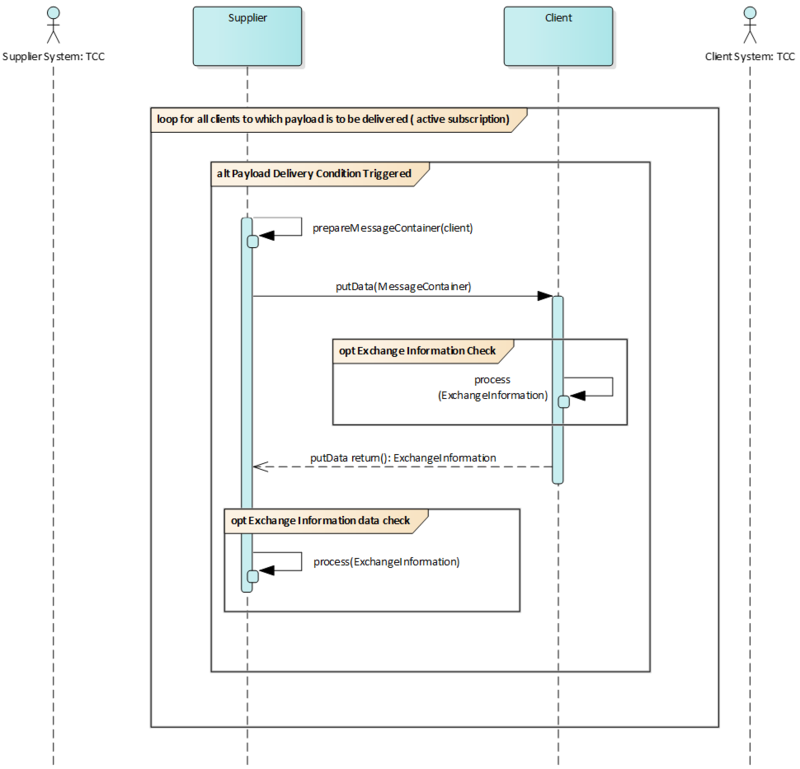 Basic Exchange Data Model has been provided to allow the implementationto deliver more payload contents on the same Message and furtherinformation to allow to manage some extra features not required by the basic Snapshot Push Exchange. The usage of the Exchange Data Model wrapping is for harmonisation to other Exchange Pattern such as “SimplePull” or “Stateful Push”. A D2Container should be retrieved using Basic Exchange Data Model as reported in previous figure, alternatively a D2Payload may be delivered. A D2ExchangeInformation is returned to convey information about exchange operation and connection status. Payload Messages contain Payload Update Timestamp which may be used to understand when payload has been updated for error management and processing saving. Available operating mode for Snapshot Push is Periodic or On Occurrence (i.e. Condition Triggered based on supplier) Push based on Supplier side conditions. Whenever a condition is raised the Supplier System manage creation of Push Message and deliver it. Not described in this pattern at PIM Level. May be implemented at PSM level see Optimisation Section. Stateful Push Exchange Pattern / FEP at PIM level is based on information messages sent or pushed by the Supplier to the Client as may be implemented in several platform: some examples are push of generated XML content by http/post, or Client providing a SOAP WebService method “push” by which data can be provided by the Supplier to the Client. This “Stateful Push” add extra features to the basic Snapshot Push exchange pattern to manage Session Lifecycle and Link Monitoring, as well as synchronisation/realignment in case of communication lacks or system maintenance. This mechanism will be fully explained at PIM level in the following sections. Supplier so logically “pushes” Messages to the Client. The Client shall acknowledge what received by a Return Exchange Information to the Supplier. This Exchange Information return message is available to bring some information back from Client to the Supplier, such as SessionId, Fail, Success, Snapshot Synchronisation Request. Return message information is logically described in this PIM, while implementation will be defined at PSM, level. The mechanisms available are referred in this document as openSession, “putData”, “keepAlive” and optional “putSnapshotData”, closeSession. Exchanged data can either be current available data, also called “snapshot” of information, or, after a first transfer of currently valid data, i.e. a snapshot, a subset of information which had changed since the last Push may be exchanged to align the Information status on the Client System. Those messages may include single updated element or all updated elements depending on Update Method chosen. First Session Initialisation: one ===Snapshot alignment=== is needed to convey al currently available data at a first connection of Exchange. a Snapshot Synchronisation with all the currently available content snapshot in case of snapshot alignment feature is requested by client. Snapshot Synchronisation request: one Snapshot alignment can also be acknowledged to the client for internal system need / maintenance / debug, it may be requested via any Return Messages on Exchange data. The Exchange Data Model wrapping shall be managed in this Exchange Pattern. Extra information is needed to grant Exchange Features implementation besides return messages which are only logically described. Different Messages or Supplier / Client interactions (invoked method) are to be exchanged in Stateful Push which are needed to manage Session, Synchronisation, Payload Exchange, Link Monitoring. These are formally contained in Pushed Messages to Client from Supplier or in Return Messages from Client to Supplier. Push Delivery of Payload, which has not been yet delivered from Supplier to Client. It SHALL contain in Exchange information the Session ID, previously obtained with OpenSession, referring which session it is pushing data. Snapshot Payload Push Direct putSnapshotdata Push Delivery of current available Payload, i.e. Snapshot after a First Initialised Session in caso of first connection or after an explicit Snapshot realignment request from the Client. It SHALL contain in Exchange information the Session ID, previously obtained with OpenSession, referring which session it is pushing data..
Test Exchange Link and confirm Session Validity when no Payload Push update is needed. It SHALL deliver the Session ID of a previously opened Session, wrapped in Exchange Information. Specific management for initialisation and termination of Push Process to specific Client are to be considered at application development level in supplier and Client Systems. Specific management in initialisation and termination of Push Process are to be considered at application level in Supplier and Client System. After Session Status Management diagrams, the Sequence Diagram in the following figure illustrate the message exchanged and the expected return and behaviour. When a session has to be initiated an “Open Session” is tried in loop until it succeeds. NOTE. Fail on Open Session may include Client not Subscribed or not Authorised (failure reason in the exchange model). Check on this may be ensured at PSM level (e.g. this could include VPN setting or IP firewall, or signatures handling), logical information may be included in exchange data to be managed in Subscription check at Client Side. payload delivery timeout for Periodic Push Operating Mode. In case no payload is available a Keep Alive message is used to check session status for Supplier and Client. When no KeepAlive message or no Payload is received, after a KeepAlive timeout the client invalidate the session on its side and return Close Session to any attempt of Push from the Supplier. If any Push or Keep Alive fails, the Supplier invalidate the session and start a new loop to Open Session. Realignment Messages are managed when a Session is Opened, Snapshot Synchronisation request from the Client is returned in Open Session when needed. Further any Snapshot Synchronisation may be asked from Client in any Push Return as well, but this does not close a Session. Any message and return in the Sequence Diagram will be mapped in PSM definition to real platform available implementation such as WebService Service request and return or any other available mechanism in a specific Platform. When data is available a Payload Push is exchanged which inform client and supplier if session and systems status: Push received from Supplier on Client Side and return of Push on Payload push on Supplier side guarantees the network is available and the systems are up and running. Session Lifecycle ONLINE section allows to send data when available at Supplier System by triggering a Data Ready condition. Snapshot Synchronisation is managed at First Session with a Client or under Client request.